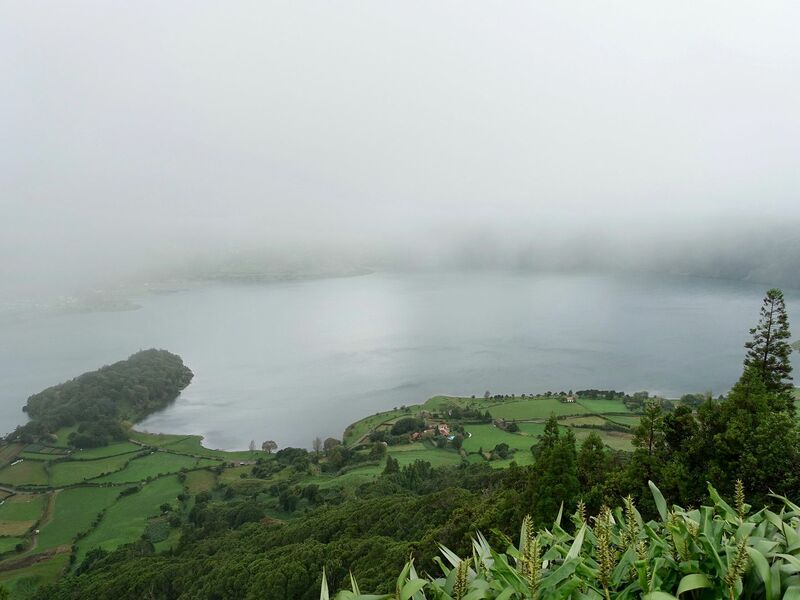 I wished I had more to offer you on the lush green Azores Islands, the hidden secret of Portugal. 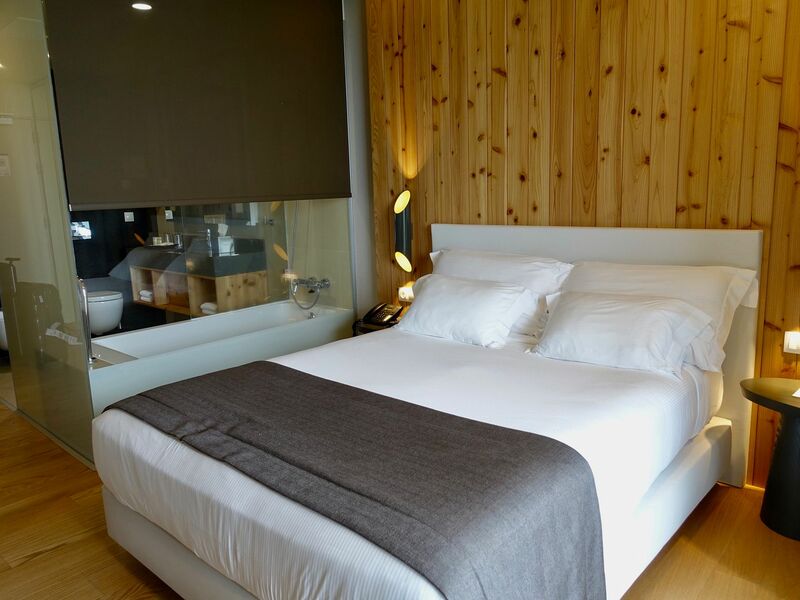 Like trekking through the verdant green landscapes in São Miguel, checking out volcanoes (the islands are still volcanic), or canyoning in Sao Jorge.. 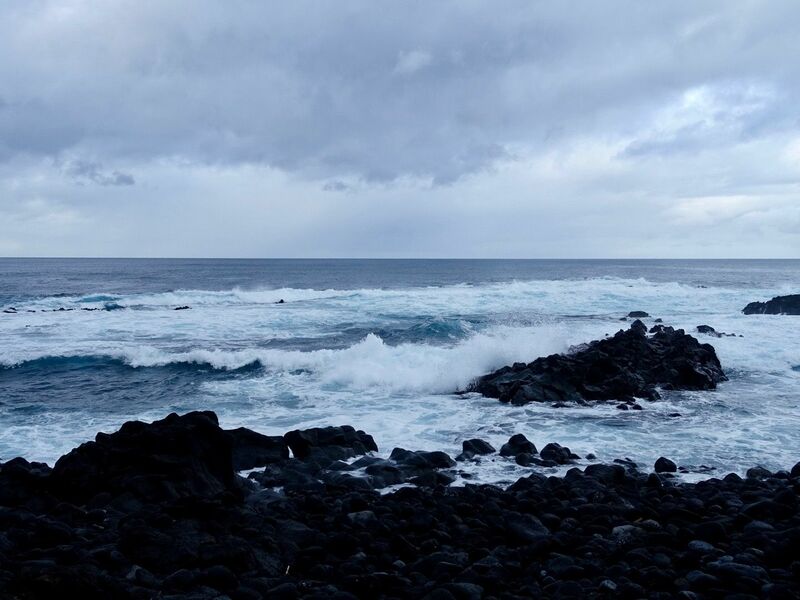 BUT the weather on Azores is insanely unpredictable, as they are in the middle of the North Atlantic Ocean surrounded by absolutely nothing, and we ended up spending 3 gloomy rainy days on it, and missing out on all possible outdoor activities. We chose to stay on São Miguel, which is the largest island of the lot. The flight from Lisbon took about 2.5h and there are 5 - 6 flights daily. What we did managed to do in that cold wetness, was to get warm in the volcanic hot springs though! 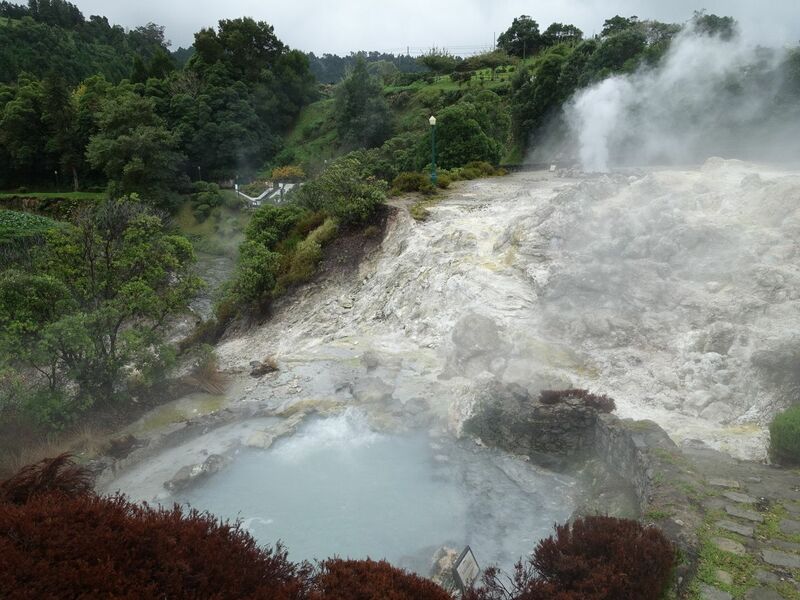 Head over to Furnas on São Miguel, quite famous for their natural thermal pools for a relaxing soak. Hot Spring Pool Dona Beija comes recommended by many. It's a far cry from the Japan onsens that we are accustomed to. There are 3 - 4 pools, mostly crowded, and the water was at best warm. Still, go try it if you're there. Another place to take a dip on Furnas is at Parque Terra Nostra. The magnificent garden has several pools and you can also enjoy the different trees, plants, and flowers in the huge compound. 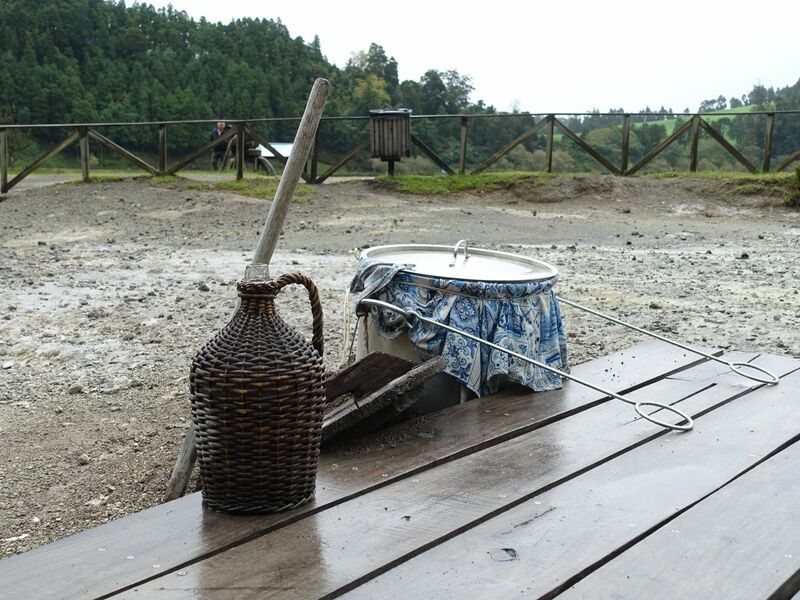 After all that hot bath in the cold, work up your appetite with some hot spring cuisine- Cozido das Furnas. This meat and vegetable stew is slow cooked for 6-8 hours by volcanic steam in the ground. 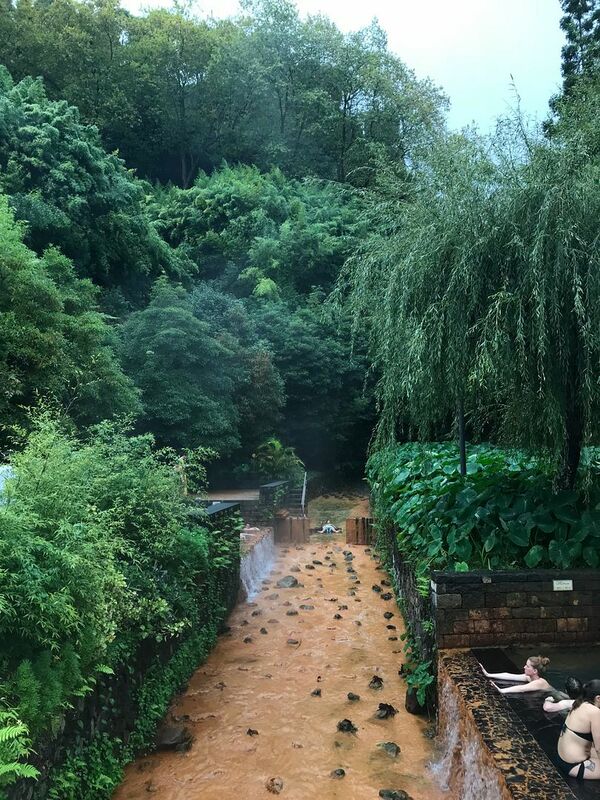 Catch the action of cozidos being dug out from the concrete holes over at Fumarolas da Lagoa das Furnas, just in time for lunch. 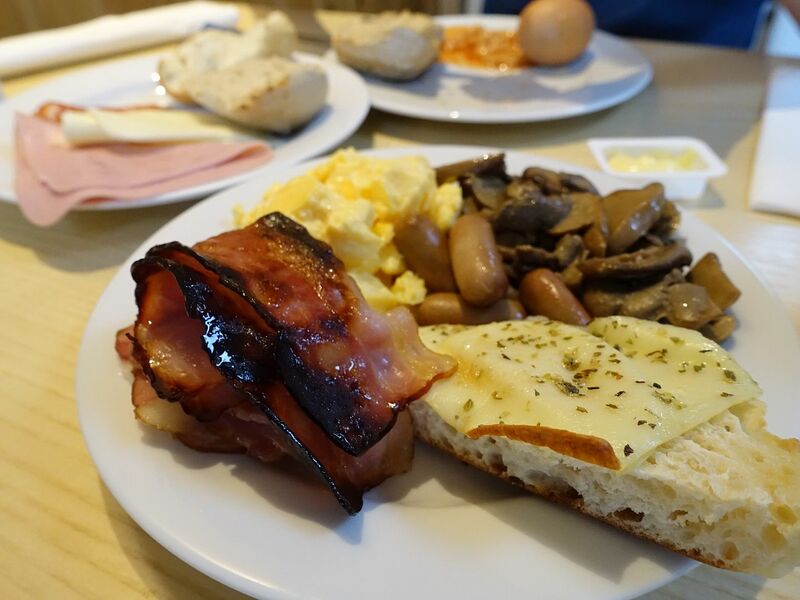 We had this specialty back at Terra Nostra Garden Hotel, where they are known to serve the best cozido in Furnas. 3 options are available here- Vegetables with couscous 19€; Codfish stew with potatoes, tomatoes and peppers 21€; and their famous Portuguese “Pot-au-feu” 24€ for 1, 40€ for 2. We went with the last. In this pot, we had mostly parts of the hog- meat, belly, ears, ribs (they fall off the bone! 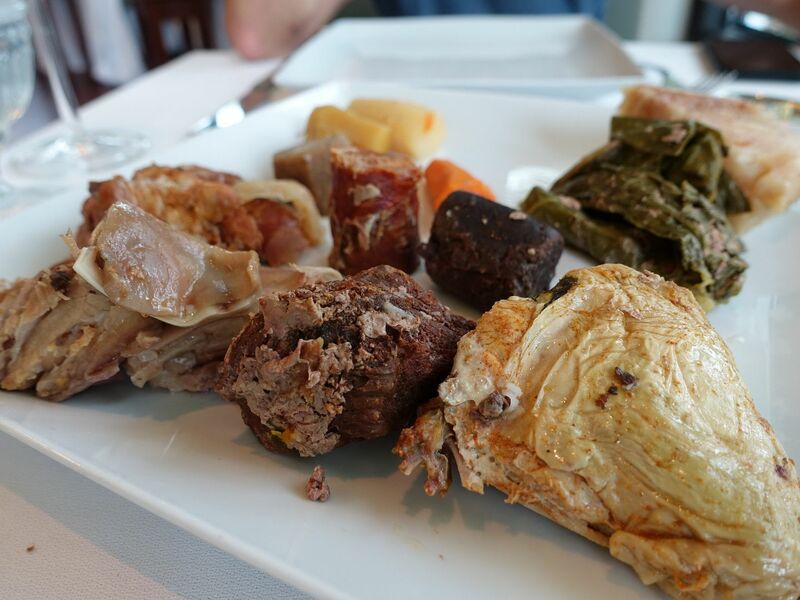 ), trotters, chorizo, and morcela (a cinnamon-scented blood sausage which was heavily spiced and pudding-ish). Chicken and beef brisket were thrown in too, along with taro, sweet potatoes and potatoes, cabbage and kale. The dish tasted healthy, and the only liquid was from the juices of the ingredients. 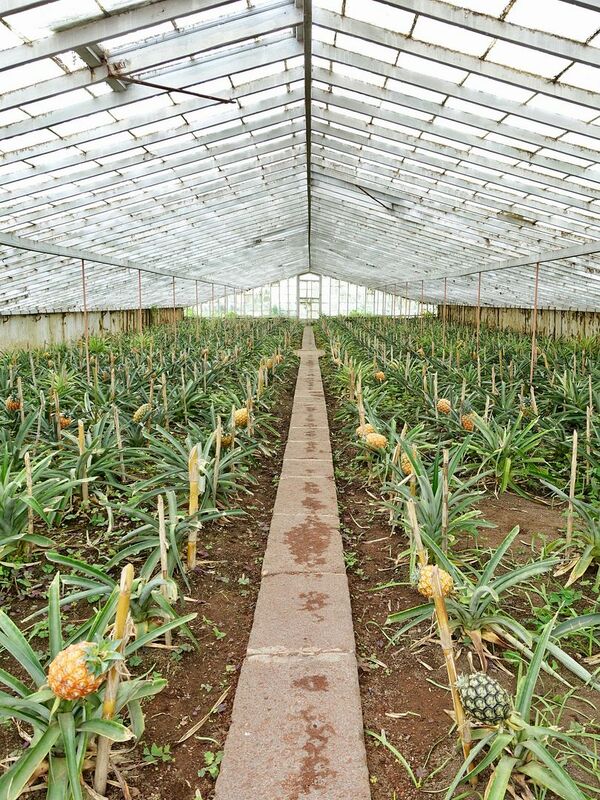 In between finding things to do in the wet weather, we visited a pineapple plantation- Pineapples A Arruda. We obviously tried very hard to occupy our time. Well, you ought to check out their pineapple liqueur though! 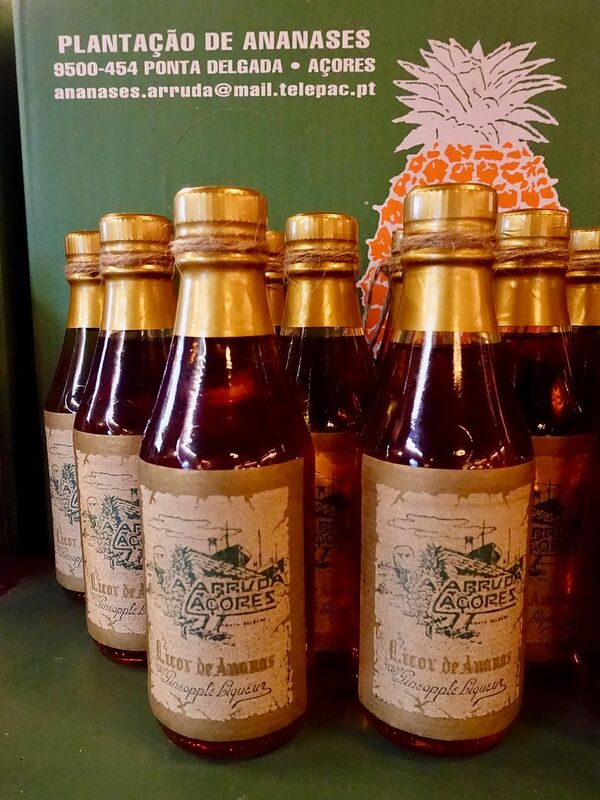 Azores is known for their pineapples. These make really good desserts/souvenirs. Rest of the time, we spent it at our quiet resort Pedras do Mar. The rooms are huge and we had a lovely ocean view, even from our tub. 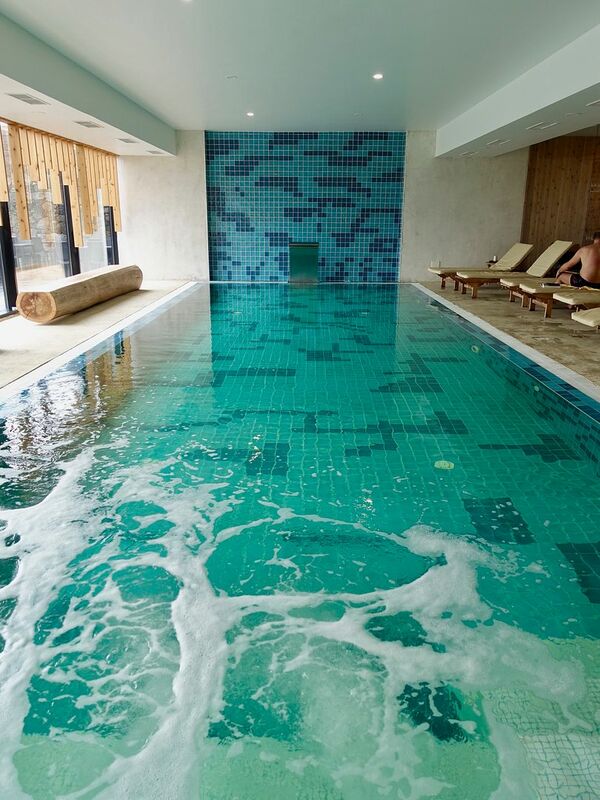 Thankfully for us, they have an indoor pool, as well as an super chilly outdoor one. You can even walk down to the rocky volcanic beach for a dip should you wish. May i say the Portuguese are crazy about their breads and desserts.. The selection of breads at breakfast was insane and i love the Bolo Lêvedo (Azorean sweet muffin)! It's great on its own, with honey, or with some Azorean cheese! For food, you'll find most of the restaurants located near the airport at Ponta Delgada. The main town could be explored in an hour or so. 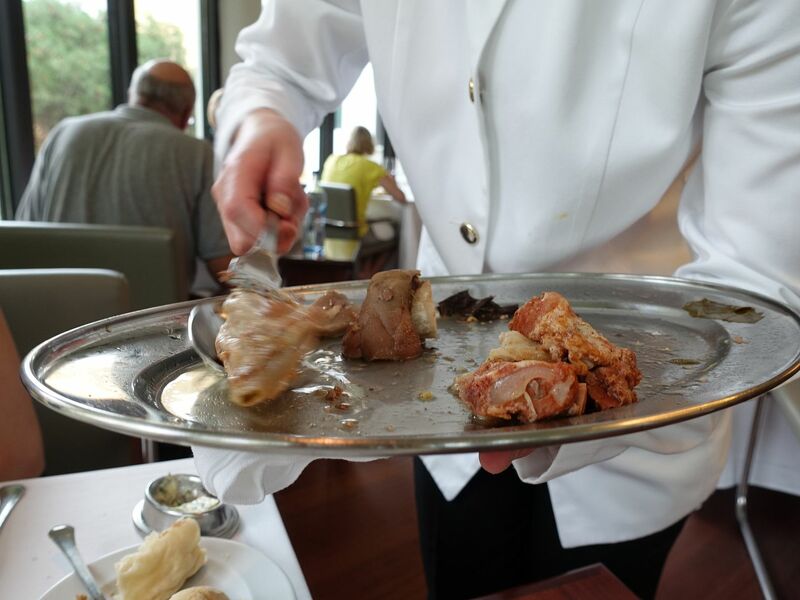 Make a pit stop for some traditional Azorean dishes at A Tasca, which also serves fresh seafood. Freshly grilled fish doesn't get better than this. We also tried their breaded octopus rings with sweet and sour onion chutney. That berry jam with caramelized onion was outstanding. The octopus had a chicken texture strangely. I made the mistake of ordering the Azorean eggs with bread and shrimp, which is eaten all mashed up (think soggy bread pudding) and was terribly fishy. The house white helped to salvage things though and it only costs 6€ a bottle! Given that the cows have free reign of the land, you can expect a good steak (bife) on Azores. We headed to Restaurante Da Assoçiaçao Agrícola, which is apparently the best steak place on the island. Their low price steak is 200g and only costs 12€. 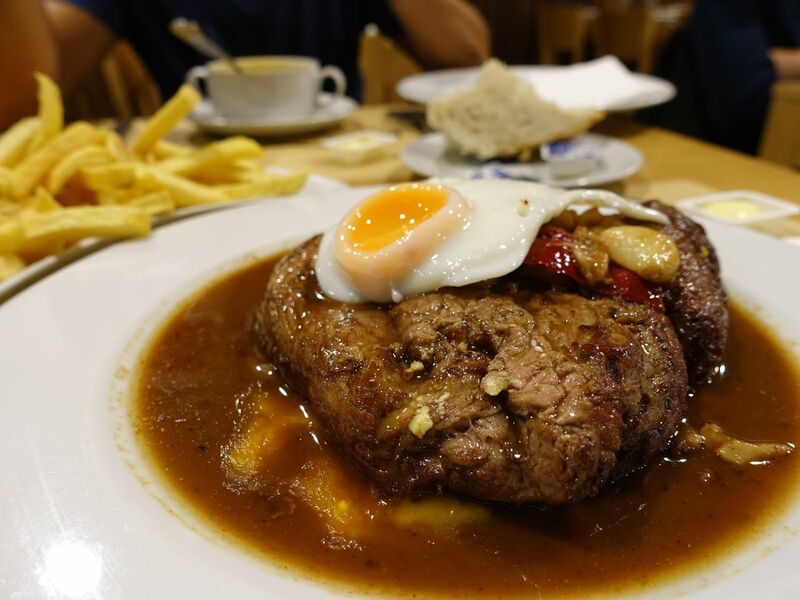 The Azorean special is the Bife à Regional (22€ for 400g) and comes with a local pepper, garlic, and a fried egg on top. The taste is rather Asian/Chinese IMO and a little heavily salted. Other sauces like pineapple, or mustard, and the regular sauces are available. In terms of doneness, go with medium because it'd be quite medium rare in the center for a beast of this size. The 2 of us struggled with this one. I hope i have not deterred you from visiting Azores Islands. If you google it, you'll see how beautiful the nature is on a good day. I certainly hope you have better luck than us!